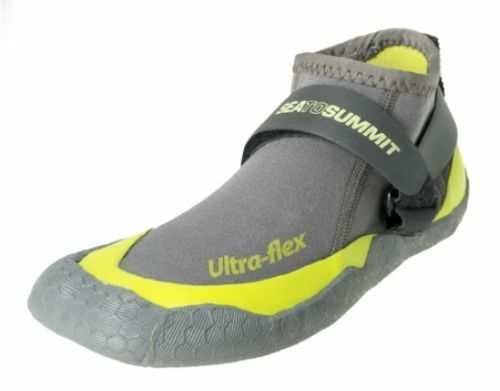 The Ultra Flex Bootie has been redesigned to improve comfort and protection while you’re paddling. Upgrades include new Adjustable Heel Lock System, laminated rubber sole and a redesigned footbed that will give you confidence inside and out of your kayak. This Ultra flex bootie is the ideal choice for paddlers who prefer a tighter fitting bootie. • New improved foot bed applies more even pressure over your feet.